“The Eurozone is falling apart”, “Europe is moving in two speeds” - in the light of these headlines, a country, which on top of this has the euro as its national currency, is starting official negotiations talks with the EU and is proud of that fact. 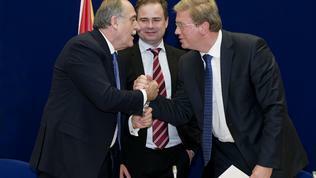 Among all the key decisions on the agenda of another EU summit in Brussels, it is written that “the European Council endorsed the decision taken by the Council to open accession negotiations with Montenegro on 29 June 2012.” Of course, this decision was more than expected and besides it is quite formal, but in the light of all warnings that the bloc is falling apart, the news that the EU integration process for the countries from the Western Balkans is on track, is quite optimistic. Montenegro is following the path of Croatia, which exactly in a year will officially become the 28th member state, next in the pipeline is Serbia which this year received a candidate status, Albania is also queueing to get such status, while Bosnia and Herzegovina is anticipated to apply for membership by the end of the year. Montenegro officially applied to become a member in 2008 and in 2010 it was granted a candidate status. Two years later, the EU leaders recognise the progress the country has made in implementing the reforms needed for the launch of the talks, but urge again that they will closely monitor Montenegro’s next steps once the talks are opened in several key ares: the rule of law and fundamental rights, the judiciary, the fight against corruption and organised crime. And while the EU has been urging most of the new members in these areas, this time the European Commission is introducing a new approach - opening the toughest negotiation chapters, which focus on these areas, first in the talks and then moving on to the other chapters. “The Council invites Europol to present a report on the situation with regard to organised crime in Montenegro, and asks the Commission to ensure that this contribution is taken into account in the forthcoming screening reports”, the General Affairs Council says in its conclusions from June 27th. ”In this light, the European Union will take into account of the experience acquired from previous accession negotiations, notably in relation to the negotiating chapters on judiciary and fundamental rights and on justice, freedom and security. A new approach will be applied to both chapters, which will be tackled early in the negotiations to allow maximum time to establish the necessary legislation, institutions and solid track records of implementation. An overall balance in the progress of negotiations across chapters should also be ensured,” the conclusions read. The reason for such an approach is more than clear - no one in the EU wants to see the story of Bulgaria and Romania taking place again, as both countries have been criticised for failing to completely reform these areas over and over again in the last five years, since they have become full members of the bloc. Tiny as it may be, with a population of just above 600,000 people, or maybe just because of that, Montenegro is known with tight ties between the business and the ruling top, and even in the day the negotiation talks were launched the country’s Supreme Prosecutor’s office pressed charges against 17 people for giving and taking bribes, power abuse and document forgery. “No one should be surprised that the organised crime and the corruption are pointed out as a major problem. 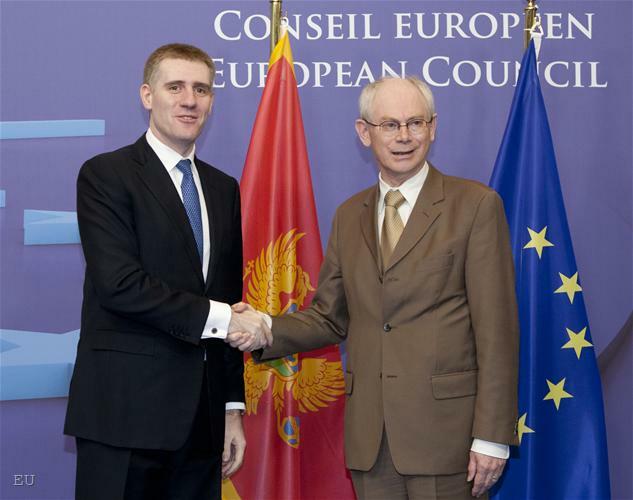 Their tackling was among the seven priorities of the May report,” EU Enlargement Commissioner Stefan Fule told Montenegrin journalists in Brussels. In a special interview for the most circulated newspaper in the country, Pobjeda (Victory), he also says that during the discussion among the 27 there was no doubt whether the accession talks should be launched or not, but rather how to make this in the most effective way. 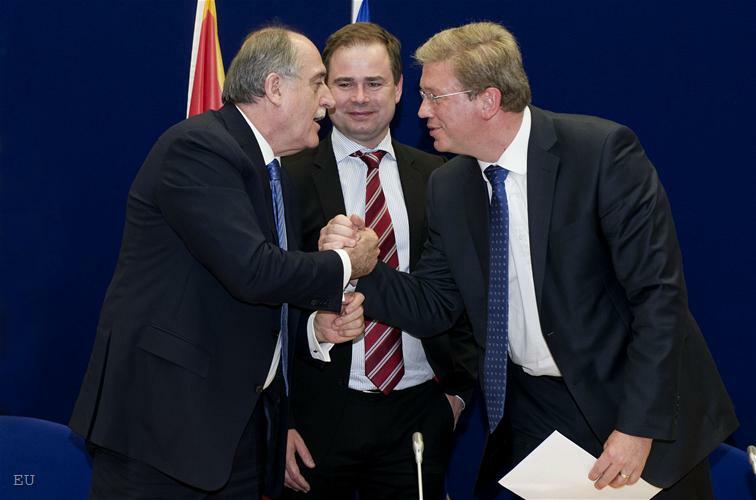 Fule also explains that the new negotiations approach would allow the most difficult chapters to be opened first and closed last, but it will also allow the introduction of some restrictive measures, such as provisional freezing of talks in other areas if no progress is achieved on these chapters. The experience with the last accession talks - those with Croatia - shows that when a country wants it can show progress and even arrest and press corruption charges against a former prime minister. 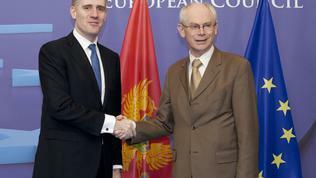 Therefore, “the stick”, which the EU is warning it would use again, will most probably help Montenegro in the fight against corruption and organised crime, and on the other hand, hopefully, when those talks are completed, Montenegro would not need to join some other kind of Europe.